Topaz has the electrical industry covered with the right fitting at the right price—always in stock and ready for fast delivery. Ensure the most secure sealing of FS & FD Cast Device Boxes with Topaz’s Covers. 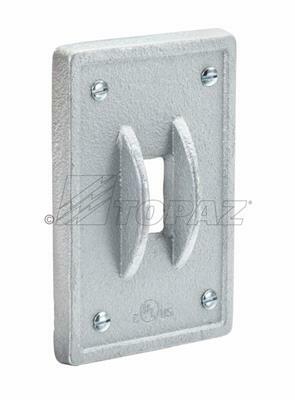 Duplex covers are manufactured in rugged malleable iron for heavy duty work.